The Quincy RiverWalk is a 2 mile-long public walkway along the Neponset River shore that officially opened on September 30, 2014. The Watershed Association and other Greenway advocates worked together for almost 10 years to create this public trail along the Quincy shore of the Neponset River. 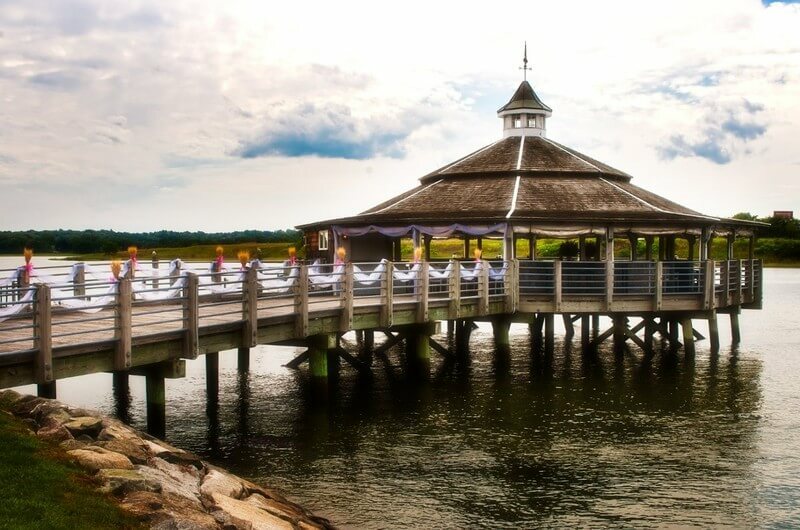 The upstream terminus of the Quincy RiverWalk is the Adams Inn Gazebo and its downstream terminus is beautiful Squantum Point, where the Neponset River discharges into Dorchester Bay. The RiverWalk is available to pedestrians, bicyclists and fishermen (bicyclists are not allowed where the RiverWalk narrows alongside Adams Inn). 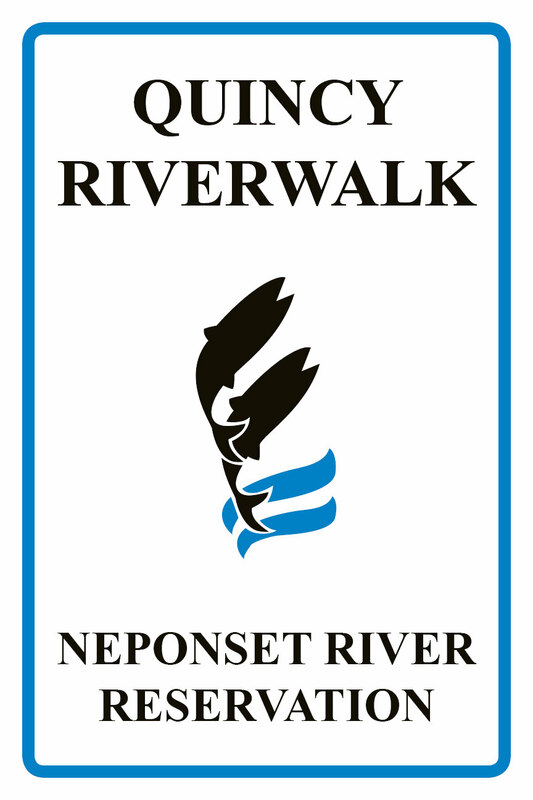 The Quincy RiverWalk is part of the Neponset River Reservation, which includes Pope John Paul II Park and the Neponset Greenway trail on the other side of the river. The Neponset Avenue Bridge connects the two, with a handicapped accessible ramp to the bridge sidewalk just feet from the RiverWalk. Adams Inn Gazebo, open dawn to dusk. A pile-supported gazebo over the River next to the Adams Inn, Café and Pub. This part of the RiverWalk is open from dawn to dusk. Park to guarantee public access. Parking for this area is available under the Neponset Ave. bridge. Billings Creek salt marsh “spur” trail (2/3 mile round trip off the main RiverWalk), with future plans to make it into a circular trail all around the salt marsh. Parking is available across the street from the trail head on Commander Shea Blvd. Natural canoe/kayak launch and landing area. Parking is available on Commander Shea Blvd just before the gates of the Boston Scientific Corp. The launch is 400-500 feet from parking. Numerous fishing spots all along the shore. One of the most beautiful views in the Boston area at Squantum Point (in DCR’s Squantum Point Park). Connecting walkways from both ends of DCR’s Squantum Point parking lot lead to Squantum Point and the Quincy RiverWalk. restaurants on the Marina Bay Boardwalk. The Neponset River waterfront in Quincy was once a vibrant area with numerous marine-related businesses, but by the 1970s and 80s much of it was abandoned and strewn with rubble. Since then, pollution has been dramatically reduced in the River, resulting in commercial businesses and residential development seeking riverfront locations. Environmentalists then began working to create public access along the River to prevent “privatization” of the shoreline. 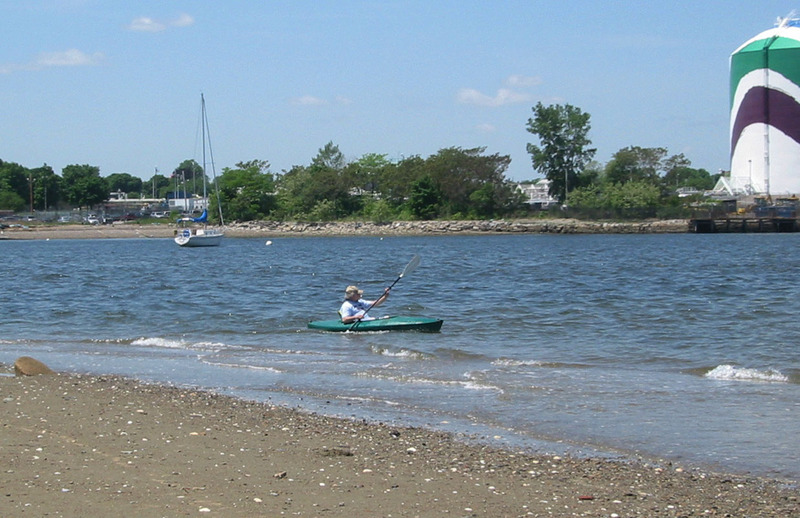 The Neponset River Watershed Association successfully nominated the Neponset Estuary as a state Area of Critical Environmental Concern in 1994. A Conceptual Plan for the RiverWalk was published in 2002 by the Neponset River Watershed Association and local environmentalists. The construction of a public RiverWalk on private property was obtained primarily by negotiations conducted over ten years by the Neponset River Watershed Association, with assistance from the Quincy Environmental Network. Also key to its development on some parcels was MassDEP’s Waterways Program, which requires new shoreline development projects to grant public access if the land was once subject to the tides (so-called “filled tidelands”). Finally, the City of Quincy played a major role by using its Community Preservation Act funds for the design and construction of a good portion of the RiverWalk. The Neponset River Watershed Association also contributed financially. Lastly, the Massachusetts Department of Conservation and Recreation was been a key partner, anchoring one end of the RiverWalk with their Squantum Point Park, and facilitating connections to Wollaston Beach and the Neponset Greenway in Dorchester.